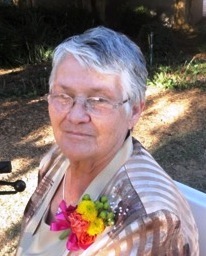 Blasa Garza Espinoza 79 passed away March 30, 2019. She was born in Choate, Texas on February 3, 1940 to Gregorio and Maria Perez Garza. She married Ramon Espinoza Sr. and raised a family of six in Orange Grove, Texas. Mrs. Espinoza is preceded in death by her parents and six siblings, her husband, Ramon Espinoza Sr, sons, Ramiro Espinoza, Rey Rodriguez, Bobby Leal and grandson Rito Cisneros. Survivors include four daughters, Rachel Espinoza Orange Grove, Grace Espinoza Leal of San Antontio, Irma R. Urdialez (Donny) of Tallahassee, FL, Helen Espinoza Paiz of Big Spring, one son, Ramon Espinoza (Rose) of Alice, and brother, Gregory Garza (Grace) of Camden , Tennessee. She has 14 grandchildren ,18 great-grandchildren and multiple Garza and Espinoza family members and friends. Rosary will be recited at 7:00 p.m. on Friday, April 5, 2019 at Holmgreen Mortuary in Alice, Texas. Funeral Mass celebrated 10:00 a.m. on Saturday, April 6, 2019 at St. John of the Cross Catholic Church; burial will follow in Union Cemetery in Orange Grove, Texas.